The Drill Pig demonstrates the proper procedure for how to take a nap in the field. cancelled due to rain on Sunday. 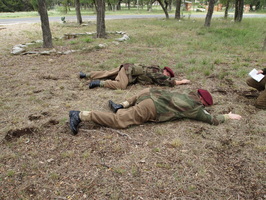 Two troopers rigorously practice proper napping procedures in the field. Training Event, Dallas, TX. 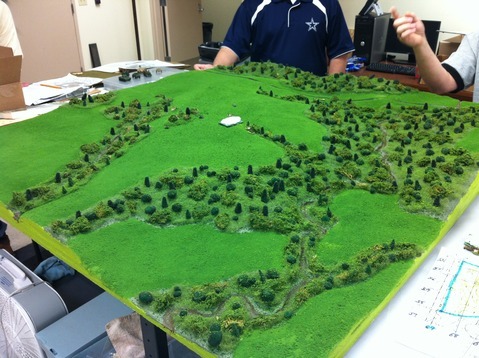 The club conducted a Terrain Board Exercise. 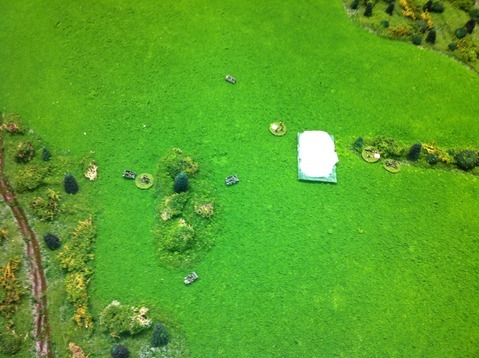 6th AARR and german Micro-armour was used on the Van Texas terran board. 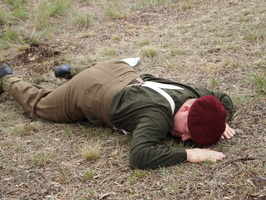 Activities consisted of going over WW2 British Armoured Reconnaissance doctrine from the manuals, and then applying that doctrine to building the club Tactical SOP. Unit call signs were formalized, RTO prodedure was practiced, as well as working on indirect fire procedures for mortar fire. To the left and right can be seen details of working out an assault battle drill using dismounted assault sections with vehicle, smoke, and mortar support.